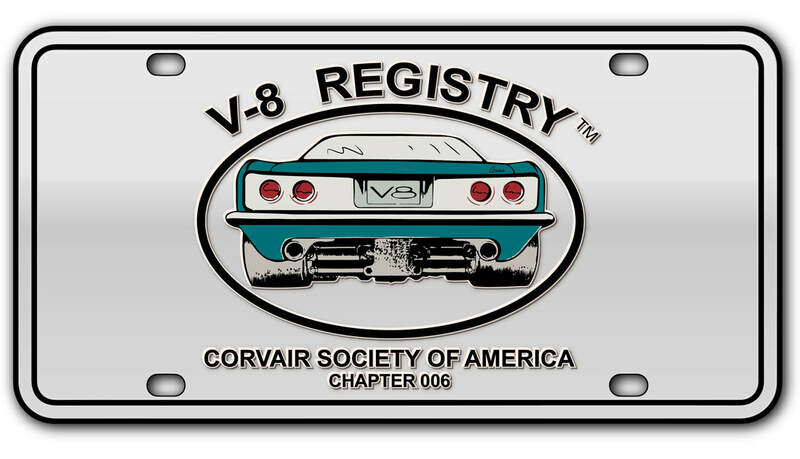 There was also a mid-engine V8 conversion for the Chevy Corvair that was called the "V8-Vair". The Kelmark “V8-Vair” mid-engine conversion turns the rear engined, Chevrolet Corvair transaxle around 180 degrees and used a special bell housing and input shaft to bolt the V8 where the stock air-cooled engine would normally be connected. This makes the rotation of the differential backwards. The main advantage of the Kelmark Conversion is increased power and good engine placement in terms of weight distribution. The setup has a 40/60 front to rear weight distribution ratio. The main disadvantage of the Kelmark Conversion is that it requires the turning of the trans-axle 180 degrees, flat, and connecting it to the engine with a bell housing adapter. A stronger shaft is needed to withstand the torque of the V8 engine. Also, since the ring gear turns backwards it requires a free flow oil system or a reverse cut ring and pinion gear set. They also required a heavy duty differential or differential modifications. The Corvair differential was not designed to handle more than 250 horsepower. When you put the power and torque of even a mild V8 to the stock differential, it tries to split the case from the pinion gear being forced against the ring gear. In the early days, Crown created a modified Volkswagen differential carrier by adding two extra pinion gears to the existing two gears which in effect lessened the load and made the differentials last longer. It was called a Beef-a-diff. When Corvair transaxles started to be used in high performance applications the differential again being a weak spot was modified by adding two more pinion gears. This created a cross legged look whence the "spider" nickname was derived. Back then a CIDCO transaxle could be purchased, this stands for Corvair Improvement Distributing Company as owned by Bob Anderson. At one time he developed Corvair transaxles with many improvements, not only for Corvairs but the kit car industry as well. Bob improved the longevity of the differentials thru many modifications, re-manufacture and re-engineering, along with careful assembly. This included having reverse cut ring and pinion gears made for the Kelmark transaxle setup which ran in reverse. His setup was in great demand by the mid-engine Corvair enthusiasts. One of the trademarks of the CIDCO diff is the shoulder bolted steel plate cover on top of the differential in place of the tin cover.